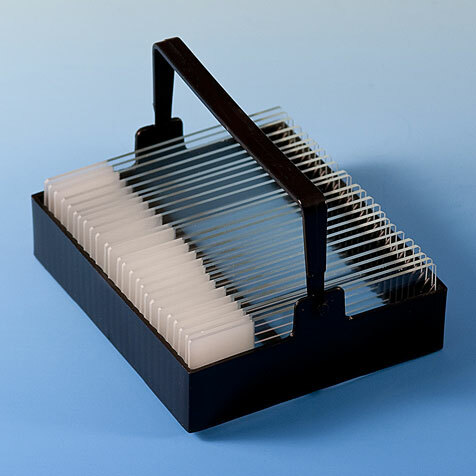 Rack with handle for simultaneous staining of up to 25 microscope slides. 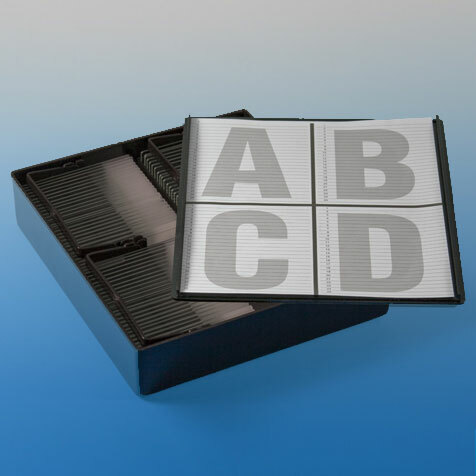 Holds up to 25 standard sized microscope slides. 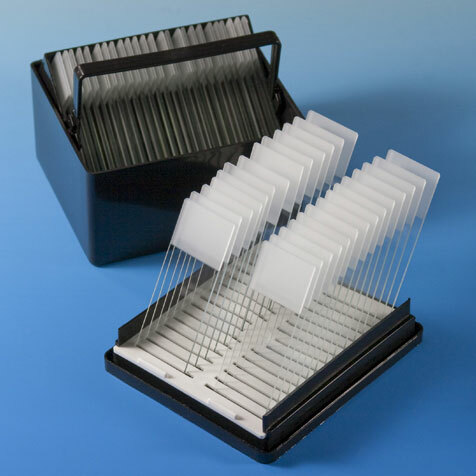 Designed for use with staining dish #513222.